With Christmas just around the corner, it is time to get into the festive spirit while shopping at ION Orchard! From enchanting Christmas decorations to special shopping deals and exclusive promotions, this year’s round-up is sure to get the celebrations off to a magical start! The mall’s outdoor space, ION2, has been transformed into a dazzling Christmas Park, complete with the sparkling Cartier Ferris Wheel, a playful maze of Christmas trees and over 800 beautifully wrapped gift boxes, making it the perfect festive backdrop in town. From 30 November to 25 December, shoppers and visitors will be treated to an exciting line-up of entertainment that is sure to spread Christmas cheer to people of all ages. Inspired by the world famous dance group “The Rockettes”, the ION Sparklers will light up the festive season with their charming and energetic performances, and high kicking heels to fun, Christmas favourites! 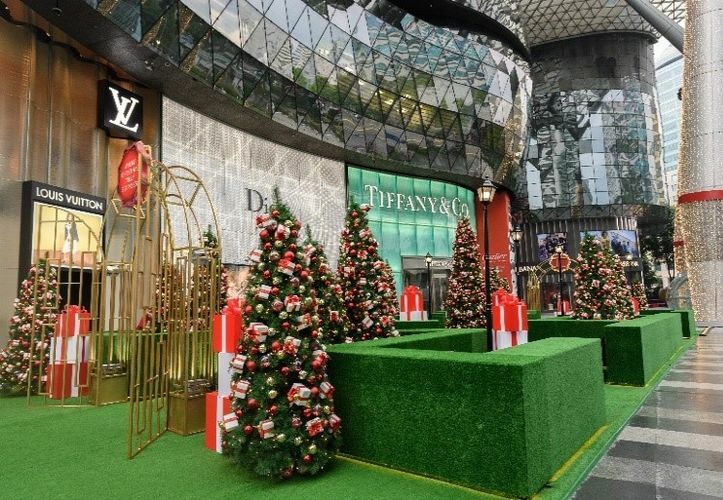 ION Orchard will offer a series of Christmas Holideals till 1 January 2019, across dining, beauty and fashion to spread festive cheer and reward shoppers. For more details visit, Ion Orchard website.